Determining a patient’s dental age is essential from the dental standpoint but can also have connotations of a forensic, anthropological and medicolegal nature. 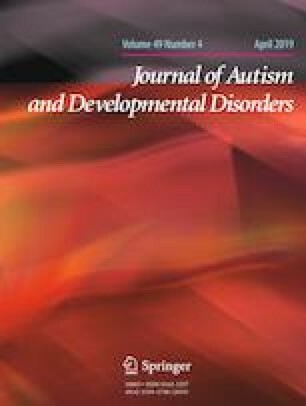 In this study, we assessed the correspondence between dental age and chronological age in a group of 50 children with autism spectrum disorders, with a chronological age range of 3–17 years. The dental age was calculated using panoramic radiography images, applying linear regression models derived from the classical indices by Nolla and Demirjian. In 2 of every 3 boys, the dental age was ahead of the chronological age, and in almost 1 of every 3 cases, the difference was ≥ 12 months. In the girls, conversely, we found no significant differences between dental age and chronological age. JL and PD contributed to conception and design, drafted the manuscript and gave final approval. MTA contributed to interpretation of data, critically revised the manuscript and gave final approval. MO and MDF contributed to acquisition of data, critically revised the manuscript and gave final approval. JFF and LGC contributed to analysis of data, critically revised the manuscript and gave final approval. The work was supported by the Medical-Surgical Dentistry Research Group (OMEQUI), University of Santiago de Compostela (USC), Spain. The study was approved by the Institutional Review Board of the University of Santiago de Compostela (USC), Spain. All the images used in this study belong to the historical archive of the Radiology Unit of the Faculty of Medicine and Dentistry of the University of Santiago de Compostela in Spain. No specific informed consent was required,givenall participants or, as appropriate, their legal representatives, signed an informed consent to authorize the use of images for teaching or research purposes.